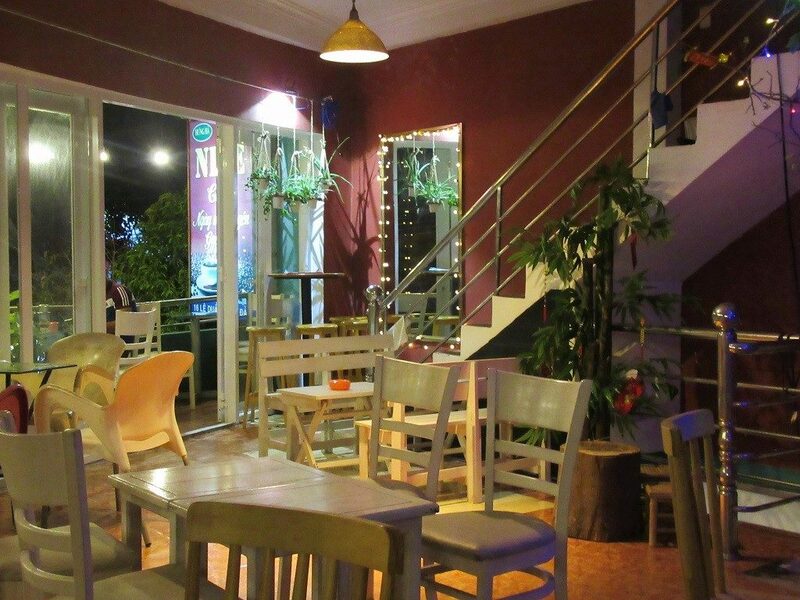 Vietnam has a rich and thriving cafe culture – probably among the most active, dynamic, and, importantly, independent cafe scenes in the world. The cult of coffee goes deep, reaching even the furthest corners of the country. 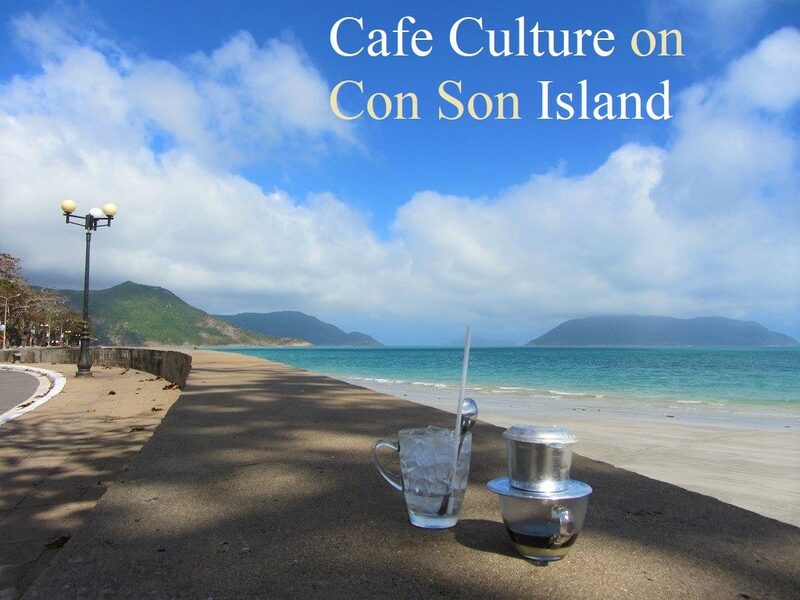 And now, it includes the remote, utterly beautiful island of Con Son, the largest island in the Con Dao Archipelago. 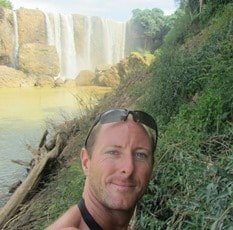 Lying some 80km east of the Mekong Delta, Con Son was once a prison island; the site of much suffering for generations of Vietnamese under French colonial rule. Nowadays, although the past is heavily commemorated, its reputation (at least among foreign travellers and younger Vietnamese) is as a classic tropical island paradise. 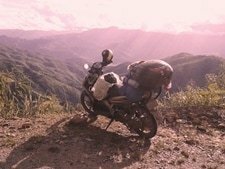 In the last couple of years, as more young people choose to visit Con Son, and as the local population swells due to settlers arriving from the mainland, a distinctive cafe scene has arisen, adding yet another dimension to this remarkable pocket of Vietnam, way out in the East Sea. 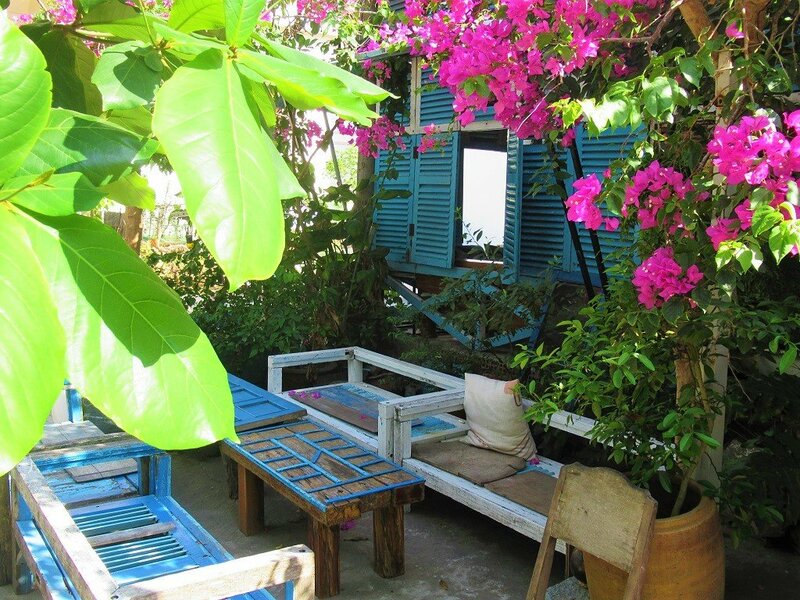 There are a handful of interesting, cosy, independent cafes in the sleepy back-streets of Con Son town, the main settlement on Con Son Island. 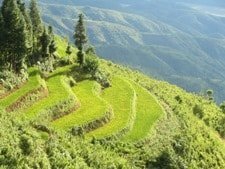 Although the variety of cafes can’t compare with Vietnam’s cities, there are enough coffee shops in Con Son to keep you going for a few days, which is as long as most travellers choose to stay here. The ones listed on this page are my favourites, but there are several others too, and, no doubt, more will open in the near future. Some cafes offer Vietnamese-style coffee, others offer Italian-style espresso coffee, still others offer a selection of teas, juices, and cocktails as well. I’ve written a brief description of each cafe, illustrated them with an image, and plotted them on my map. Note that opening times vary, but most cafes open in the morning, often close for lunch, and open again from mid-afternoon. 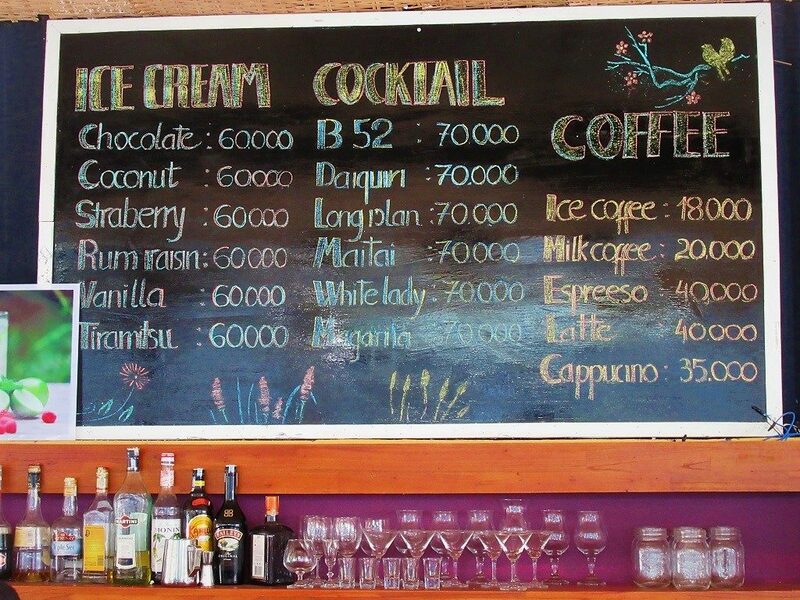 Prices are generally between 20,000-50,000vnd ($1-$2) for a drink. 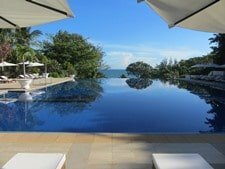 (For much more information about the Con Dao Islands see my full guide here). [MAP] Located on the wide, peaceful, tree-lined Nguyen Van Linh Street, Phien Khuc Cafe is a new addition to Con Son’s cafe scene. 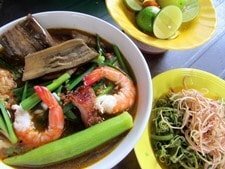 Deep in the charming back-streets of Con Son town, Phien Khuc is a classic ‘vestige cafe’, a style that’s trendy in Vietnam’s hippest urban centres. This means it’s a nostalgic arrangement of old bric-a-brac: broken wooden window shutters hanging at jaunty angles, bits of old motorbike lying around on tiled floors, wooden pallets for tables, old wooden furniture, potted plants growing up the walls, antique fans, guitars left on dusty cushions. It’s a romantic, cool, shady hangout to while away the hot, oppressive hours during the middle of the day. The drinks menu includes Vietnamese-style iced coffee, herbal teas, and Vietnamese rum-based cocktails. Oh, and there’s a beautiful shower of pink bougainvillea growing out front. A lovely place. [MAP] Firmly established as the go-to cafe on the island ever since it opened several years ago, Infiniti continues to be popular with both island residents (especially those in the hospitality industry who’ve moved to Con Son from the mainland) and travellers of all ages and nationalities. In fact, Infiniti is such a success that they’ve expanded their property, which now includes The Nest, an extension of the original Infiniti Cafe, complete with a pool table and upstairs seating outside on a makeshift veranda – a tree house of sorts – looking over the street. Again, the ‘vestige’ style is dominant: bathtubs sawn in half to create sofas, colourful cracked tiles decorate the floor, bare plaster walls are hung with driftwood, empty picture frames and scraps of pottery, naked light bulbs drip from the ceilings, and there’s a general tendency to faded ‘beach colours’ – pastel blues, yellows and greens. It’s relaxed and informal but also stylish. Western-style coffee is excellent, as are the smoothies and fruit juices, and cocktails are only a few dollars each. This is the place to be on breezy Con Son evenings. [MAP] Another new cafe, Ba Le is a small, unassuming place that harks back to a simpler, nobler time that may or may not have existed. There’s a gentle revolutionary, nationalistic spirit running through this coffee shop. When it first opened, the famous patriotic words of Ho Chi Minh embellished the entrance: Không có gì quý hơn độc lập tự do (Nothing is more precious than independence & freedom). However, a coffee shop was seen as an inappropriate place for such a profound statement and was duly removed by the owners. Inside, simple wooden furniture stands on a beautiful tiled floor. Various antique artifacts – yes, this is yet another ‘vestige cafe’ – sit on bookshelves and desks: carved figurines, old sewing machines, pottery, enamel cups. 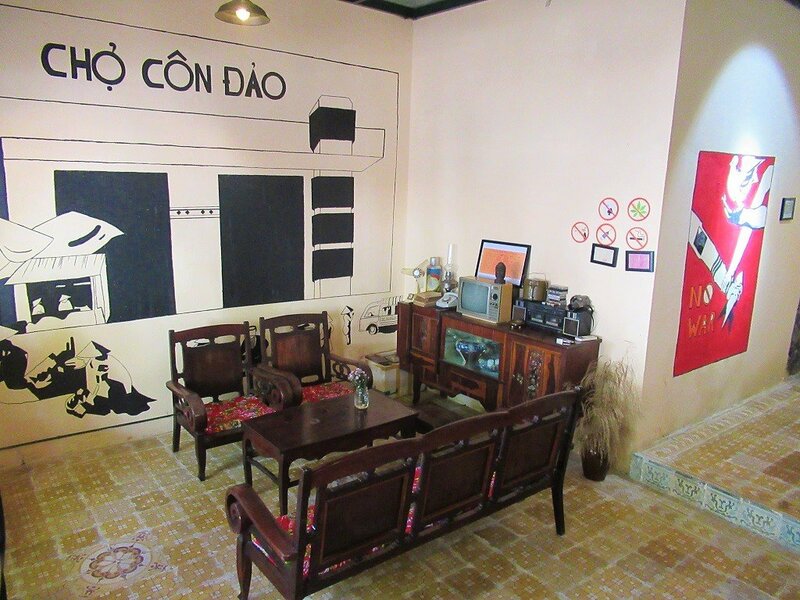 The walls are decorated with murals of the distinctive-looking Con Dao Market and propaganda posters. Vietnamese-style coffee is very good here, and it attracts a friendly Vietnamese crowd. [MAP] Housed in a distinctive turquoise building on a street corner at the centre of Con Son town, Nice Cafe is the latest of several coffee shops to occupy this space. It’s a pleasant, homey cafe on two levels, with a breezy balcony upstairs looking over the street. Drawing a young crowd of Vietnamese tourists and locals, the decor is a mix of wood and plastic furniture, fairy lights draped over mirrors, hanging lamps, potted plants, and plastic flowers. It works well and is especially nice in the evenings when it’s often buzzing with chattering youth. The menu is replete with popular and refreshing Vietnamese drinks, such as chanh sả (lime and lemongrass), tắc xí muội (kumquat and salted plum), as well as Vietnamese-style iced coffee. [MAP] Just a few doors down from Infiniti, Uyen’s House is a bird’s nest of hidden corners, shady pockets, and cosy enclaves. 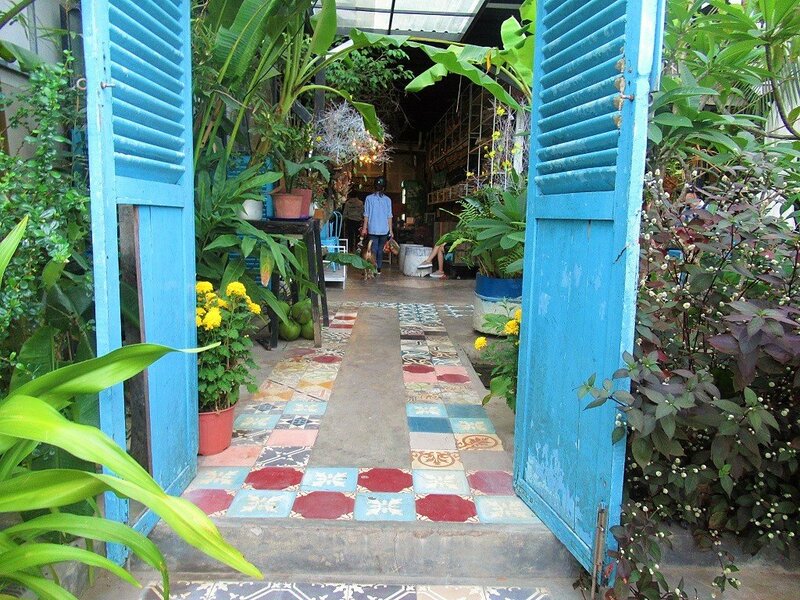 The coloruful, floral tiles (a trademark of Con Son cafes, it would seem) lead through broken blue wooden shutters into an open courtyard awash with foliage. 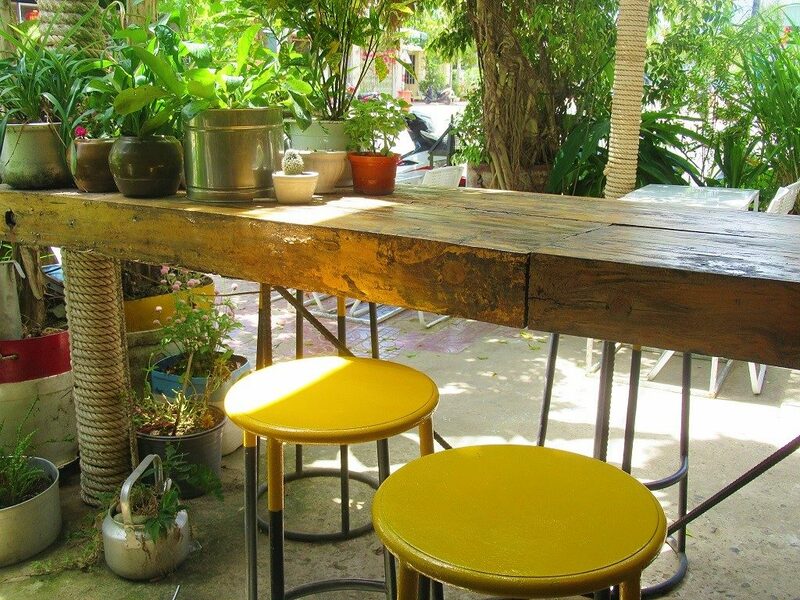 Take a seat on the wooden, metal, and plastic furniture under the branch of a frangipani or papaya tree and sip a strong Vietnamese coffee or refreshing juice. You’ll probably be sharing the space with a handful of selfie-taking Vietnamese youth, who come to be photographed in this attractive, pastel-toned abode. [MAP] These two places in the centre of Con Son town are under the same management, but are very different in character. Lacasa is a sleek, chic, very modern cocktail bar on a street corner: a clinical combination of shiny metal and glass. Villa Maison, on the other hand, is a gorgeous, sprawling, veranda cafe, housed is a handsome, open-sided French colonial villa. You may as well disregard Lacasa because, at the time of writing (March 2018), the owners were getting ready to close it and focus instead on expanding the Villa Maison location. This is a good thing, as Lacasa always looked a little out of place in Con Son, whereas Villa Maison is simply marvellous and very much part of the town’s history and character. Therefore, in the near future, you can look forward to loungers in the old stone courtyard under the branches of giant tropical trees, drinking signature cocktails made from island ingredients. 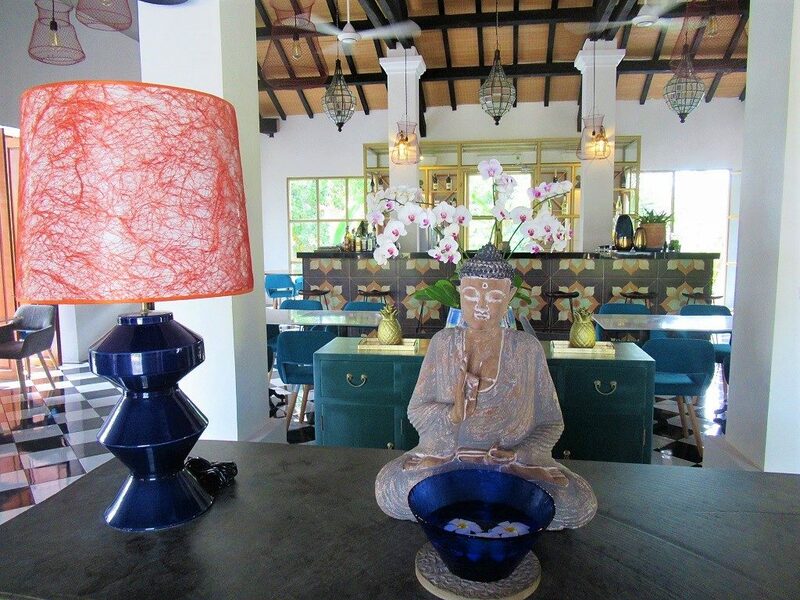 Inside the villa, the tiled floors reflect the soft lamp lighting, and decor is very stylish and tasteful. [MAP] A modern, open-sided cafe located in the leafy courtyard of the government post office guest house, Cafe Con Son offers good Western and Vietnamese-style coffee, and a short list of good, reasonably priced cocktails. Under a simple metal and thatch structure, Cafe Con Son centers around a smart wooden bar. In the mornings, various government employees gather here to socialize. It’s a nice, informal, and uncluttered place for a quick pick-me-up espresso in the daytime or a long drink after dinner. [MAP] This place has the potential to be one of the best cafes in Vietnam. The location alone – on the wonderful seafront promenade in Con Son town – is enough to set it apart from others, but add to that the building – the perfectly proportioned old French customs house – and you have the makings of a fabulous cafe. Formerly the Con Son Cafe (not to be confused with Cafe Con Son [see above]), it has taken many different forms under many different managers over the years, but none have yet successfully utilized the space and location. However, at the time of writing (March 2018), the cafe was due to reopen very soon. Let’s hope its new incarnation will do justice to the site. 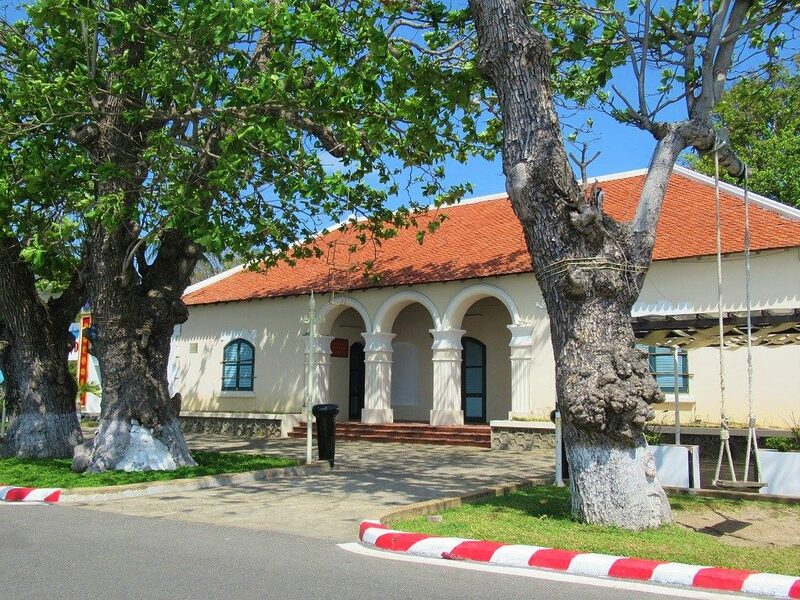 At one time, it was possible to sit on the seafront wall, sipping Long Island Iced Teas, in the shade of the giant old tropical almond trees, planted by prisoners under French orders over a century ago. One hindrance to the cafe’s success is the wind. From November to March, strong gusts blow in from the northeast, making it difficult to enjoy being outside with a coffee. In fact, the old Con Son Cafe used to close during these months. I hope the new owners will make the most of this precious patch of land. Watch this space, and please write an update in the comment section at the end of this post if you visit after the cafe has reopened. 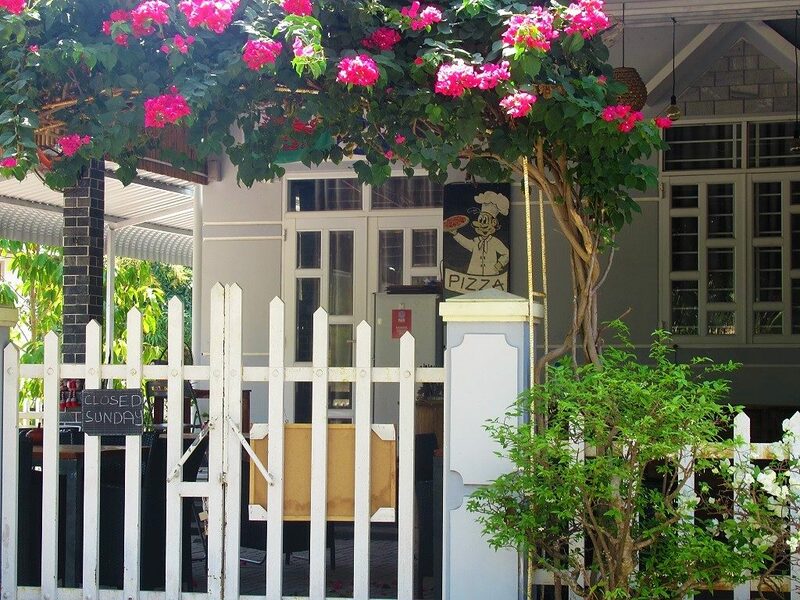 [MAP] It might look like an archetypal American suburban home – a tidy bungalow surrounded by a white picket fence and a floral archway – but Bar 200 is one of Con Son’s go-to hangouts for Western residents and visitors. Why? Because they’ve got excellent coffee (espresso, americano, latte, cappuccino), tea (English Breakfast), wines, and cocktails (not to mention an extensive menu of Western food, including pizzas). The small, covered front yard is dotted with tables and chairs. Unlike many of the other cafes in this list, there’s no particular style to Bar 200, but the food, drink, and diners create all the atmosphere you need. 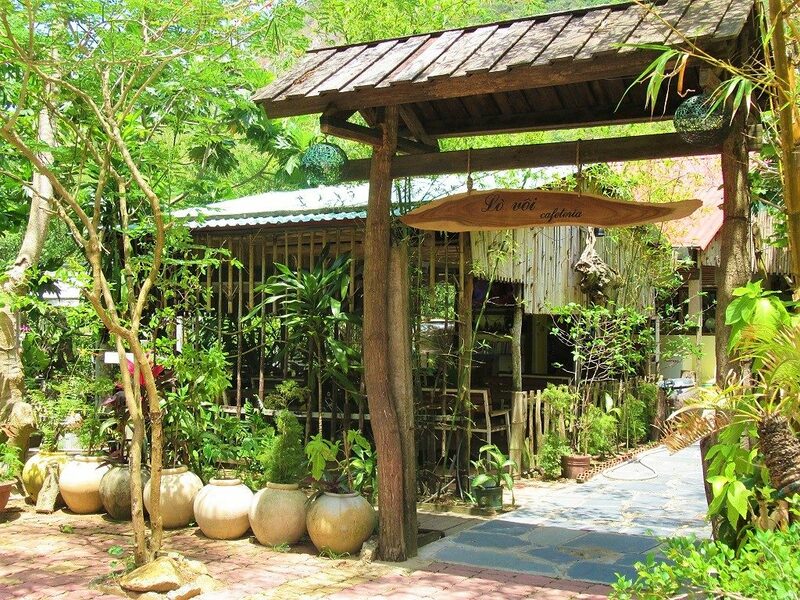 [MAP] Just out of Con Son town, Lo Voi Cafe is by the roadside opposite the sinister-looking lime ovens used during French colonial times, when the island was still a prison colony. In contrast to this visible reminder of Con Son’s brutal past, Lo Voi Cafe (named after the limestone ovens) is a cute and peaceful little place with hanging plants and bamboo trellises, surrounded by lush gardens. The shady, open-sided cafe has wooden benches and plastic chairs, all in dappled sunlight thanks to the leafy surrounds. Vietnamese coffee, tea, and juices are served. [MAP] Occupying a patch of land on a grid of back-streets which have yet to be built on, Havana Cafe is a smart looking, clean, and modern coffee shop. Decor is vaguely minimalist, and everything appears shiny and new: from the black and white floor tiles to the polished wooden tables and chairs to the bare grey walls. The Vietnamese-style coffee is good and attractively presented in big mugs. 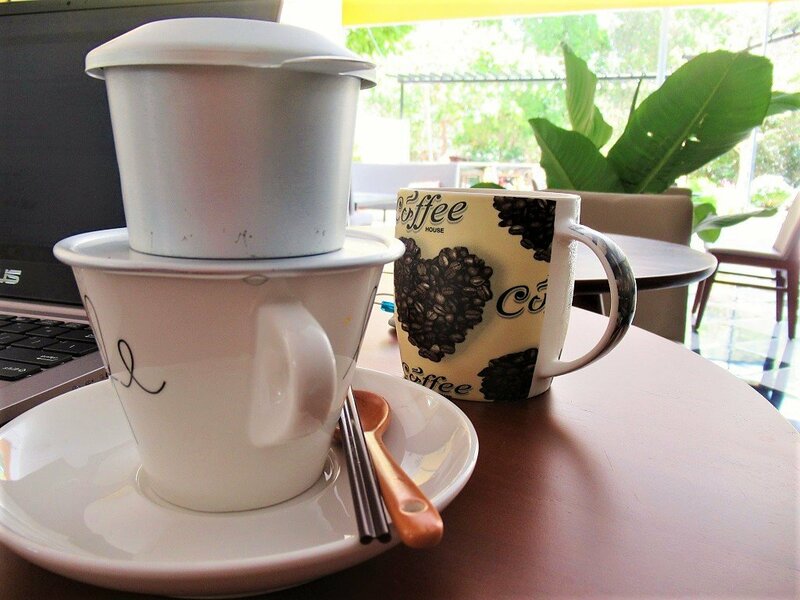 It might look a bit formal, but, like most Vietnamese coffee shops, it’s actually very relaxed and friendly. 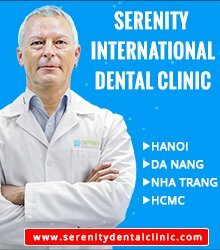 This entry was posted in ALL, Drinks, FOOD & DRINK, Resources and tagged cafes, coffee, coffee shop, Con Dao, Con Son, guide, island, Vietnam. Bookmark the permalink.